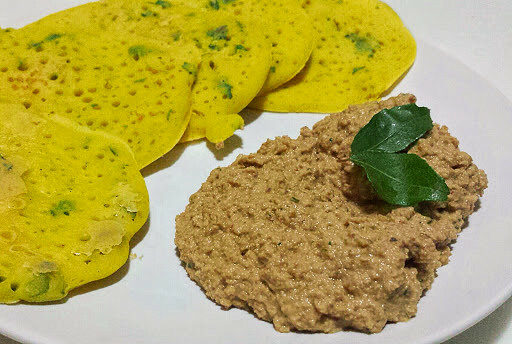 This chutney is easy to make in just a few minutes. What are you waiting for? Get cooking! 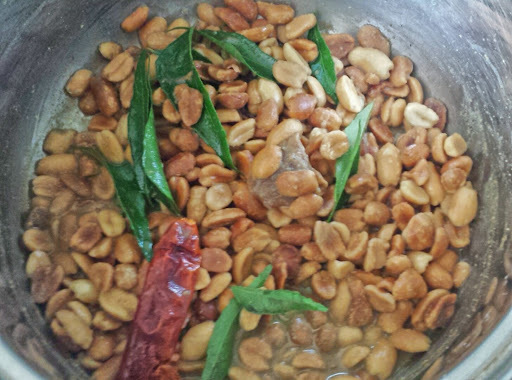 In a small pot heat the peanuts, cumin, coriander, chili, tamarind, fresh curry leaves, and about 1/3 cup water over medium heat. Toss everything into a strong blender and blend until smooth. Adding extra water as necessary. I usually have to add between 1/3-2/3cup extra water. Makes about 2 cups of chutney. What are "curry leaves"? They almost look like Thai basil. Cool! Are you able to get it locally fresh? I was thinking the same thing. This looks awesome, but where the heck can I find curry leaves? Wonder if one could substitute powder. I know it wouldn't be the same but close maybe? Yes, I get the fresh leaves at the local indian store. Curry powder? Maybe. The powders I have seen are a mix of spices usually and not pure curry. Experiment and let us know!